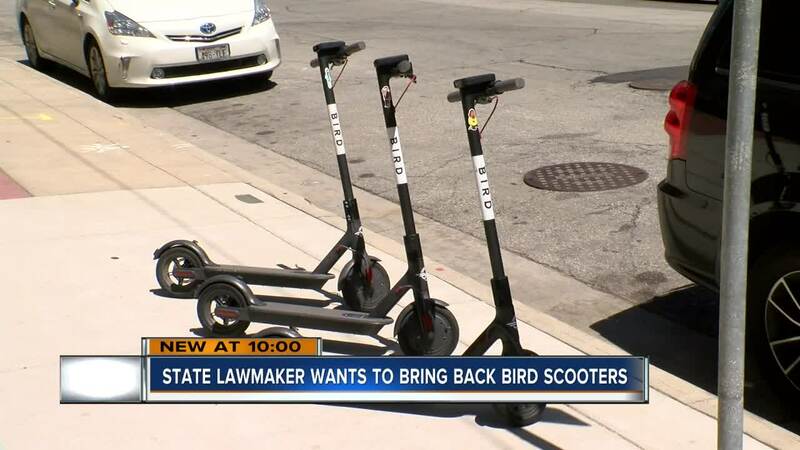 A new proposal would bring Bird Scooters back to Wisconsin, after they were banned last summer after they seemingly just showed up. State Rep. Cindi Duchow of Delafield says she will introduce legislation this session to allow for smartphone controlled scooters, like Bird Scooters. Bird voluntarily removed their scooters last summer after the city threatened to seize them . The city approved a measure for dockless scooters like Bird last summer that would take effect if the legislature changed state law to allow the scooters on the streets.